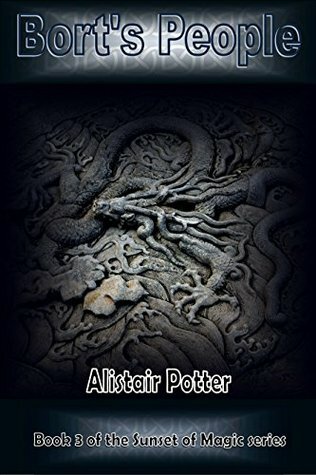 Bort's People by Alistair Potter is the third instalment in The Sunset Of Magic series and the sequel to The Counsel Of Wizards . It is a very entertaining sci-fi-fantasy adventure that has a mix of characters from both the previous books in this series who embark on an adventurous journey, which entails serious action, mild drama and a good emotional arc. Sign into Goodreads to see if any of your friends have read Bort's People.